1SaleADay Deal – HDMI Cable for $1! Snag this HDMI cable for $1 (normally $29.99) with FREE shipping from 1Saleaday! Fully optimize your HDTV, Blu-Ray player and other HD systems with an HDMI cable. Gold-plated connectors pass on a high resolution signal, and the extra-long 6 foot cable easily connects between components. 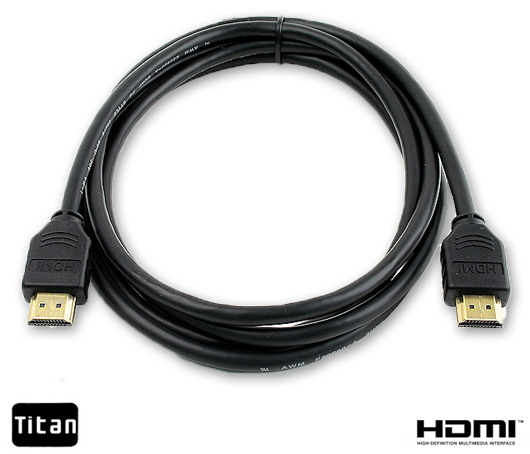 Rated HDMI 1.3, the cable can carry full uncompressed signals at 1080p for full HD digital video and sound. Join 1saleaday’s Facebook fanpage and post a comment/testimonial BEFORE ordering this free gift. The HDMI Cable is available on only $1, it’s such an very cheap Price. This HDMI Cable Supports in all HD TV, Game Console and Blu-ray, it’s really very great stuff.